For a while there, it seemed like we all had bean bags. In our rooms, in our rec rooms, somewhere. Those of us who didn't have them were incredibly envious of our pals who did, and always sat in them when we were over at their homes. 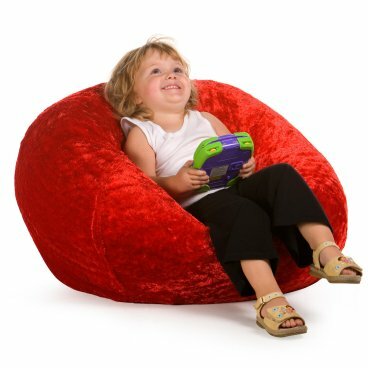 Bean bags were such a different twist on seating, and Mom and Dad generally would never touch them, since their aged limbs couldn't tweak their way down into one -- so they were all ours. They were modern and fun and crazy, and inevitably, we would poke a hole in ours and the damn beans would spill out EVERYWHERE. 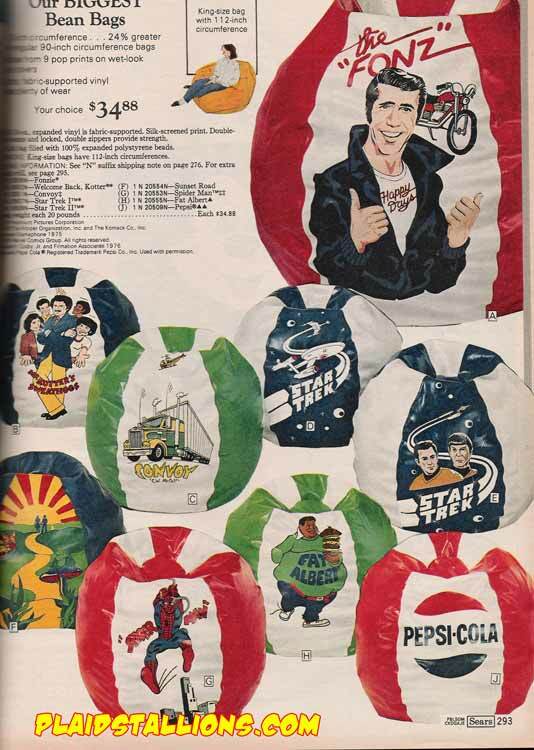 Plaid Stallions found this incredibly awesome catalog page of branded bean bags -- Fonzie, NFL teams, even "Convoy." Today, some people sit on those big plastic bouncy balls at their office, which always looks weird to me. But really, give me a bean bag any old day. OMG! The Star Trek bean bag!!! I think they are making a comeback. I saw a Mountain Dew bean bag at the grocery store today. I've also seen them at Walmart.